Sorry, all cars in this category are under maintenance. You can ride and chat, but no visual images. We're opening very limited time of the day, but hope you back! 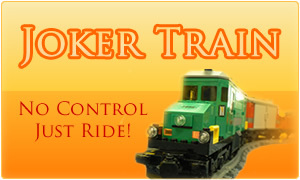 Special: Joker Train! Just Ride, no control, enjoy! This car is under maintenance.